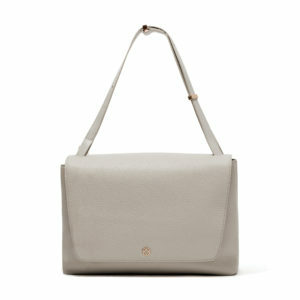 NYC-based Dagne Dover creates a variety of sophisticated handbags that help you stay organized. These bags are designed to make you feel ready for anything and for every occasion. With Big Apple Buddy’s personal shopping service, you can now buy direct from the Dagne Dover online store anytime, anywhere. No matter what you’ve got on your bucket list, keep it all together with the Dagne Dover Ava Bucket bag. On-trend and incredibly versatile, this style offers timeless appeal. Ava is big on organization: the unique center console includes single and dual-slotted pockets on both sides for all of your everyday essentials–it’s got enough room for your iPad and more. It looks sleek from office to oysters and everything in between. 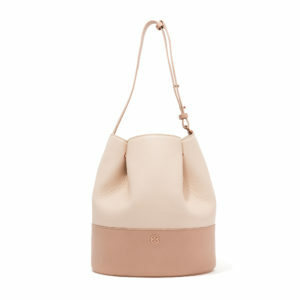 This bag comes in a range of colors to suit your style and is made from genuine pebbled leather and smooth leather. 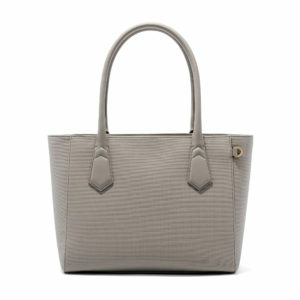 Like its full-sized counterpart, the Dagne Dover Classic Tote is made for the 7am-10pm lifestyle. It features the same clever construction but with a slimmer shape and fold-down handles for tighter situations (like balanced on your lap for the commute or tucked under your chair for cocktails). The roomy interior includes a padded compartment with a magnetic closure to keep a 13” laptop or tablet safe, while pockets hold your wallet, phone, metro card and lip balm in place. Plus, a detachable key leash keeps keys easily accessible and an oversized, brushed metal zipper allows you to effortlessly open and close your bag. Take care of business with the Dagne Dover Simone Satchel. A modern interpretation of a classic silhouette, this bag is large enough to fit a laptop and features a center console for effortless organization. Designed to optimize your 9-5, the comfortable, wide shoulder strap and sleek design work for a weekend away as well. The signature camouflage lining adds a bit of edge to an otherwise serious style. Unfortunately, the USA Dagne Dover online store does not currently offer international shipping. However, Big Apple Buddy, your personal shopper, can help you buy products direct from the official USA Dagne Dover online store and ship them to your doorstep, no matter where you are in the world. If you would like to buy from the USA Dagne Dover online store, simply let us know which items you would like to order (by filling out the form below) and we’ll get back to you with a free international shipping quote within 24 hours!